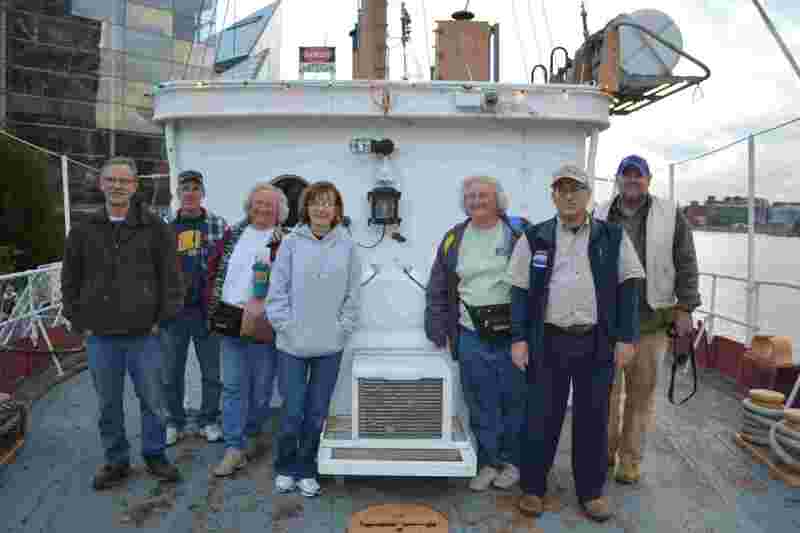 Workday: Historic Ships in Baltimore November 21, 2015 – Chesapeake Chapter U.S.L.H.S. Andy, Jeff, Lauren, Donna, Paula, Greg and James at the end of the day. Our final workday of 2015 up in Baltimore was a bit on the cool side, but we had a good-sized crew of nine. 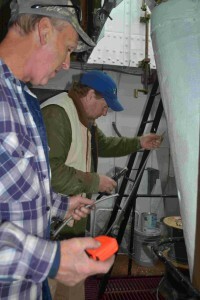 The low temperature meant we would not be painting, but we still managed to check a lot of the boxes off the work list. Greg had managed to find a lock of the lightship vintage along with a skeleton key. The new lock (which oddly did not fit the accompanying skeleton key) was installed on one of the doors missing a lock. We tried the key on all the existing locks and found it matched a few. That was a pleasant surprise. 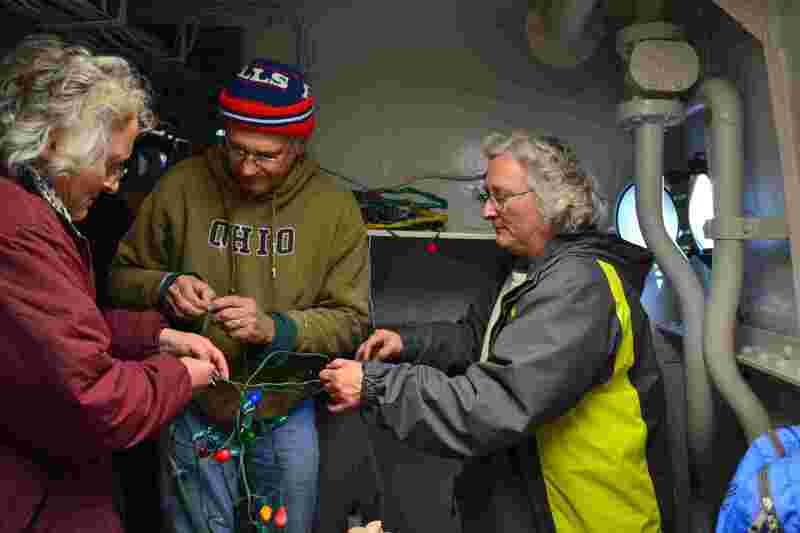 In what is becoming a yearly tradition a few of the volunteers tested and hung some lights fore and aft and put up a little tree in the Captains cabin to ready the ship for the holiday season. Some new electrical wire was run in several locations. Greg will hook it all up later, but for now the wire was hung in the engine room fiddley for lights and down below around the drill press room. 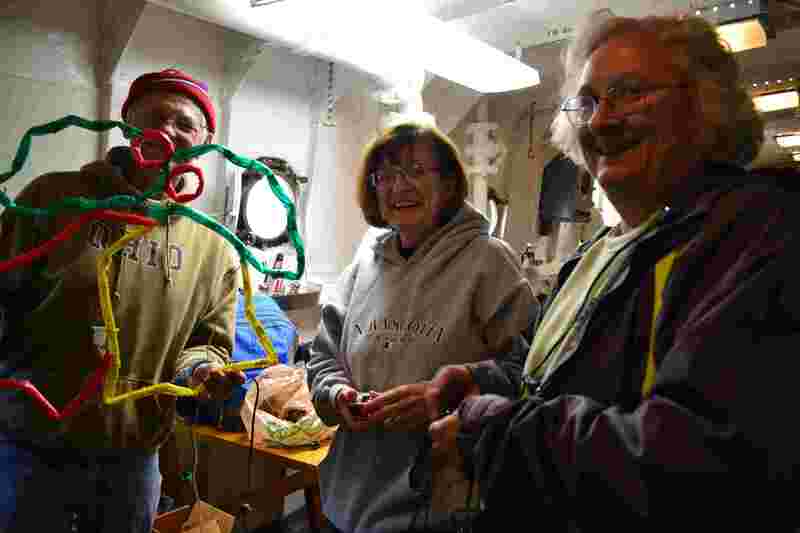 Before breaking for lunch a few volunteers added some chaffing gear to the mooring lines that had none. Other small tasks included installing the proper type of doorknob on one of the doors, raising the recently repaired Lighthouse Service flag, and some general cleaning. Paint was not all together out of the picture as we removed the paint from many of the cable strips. 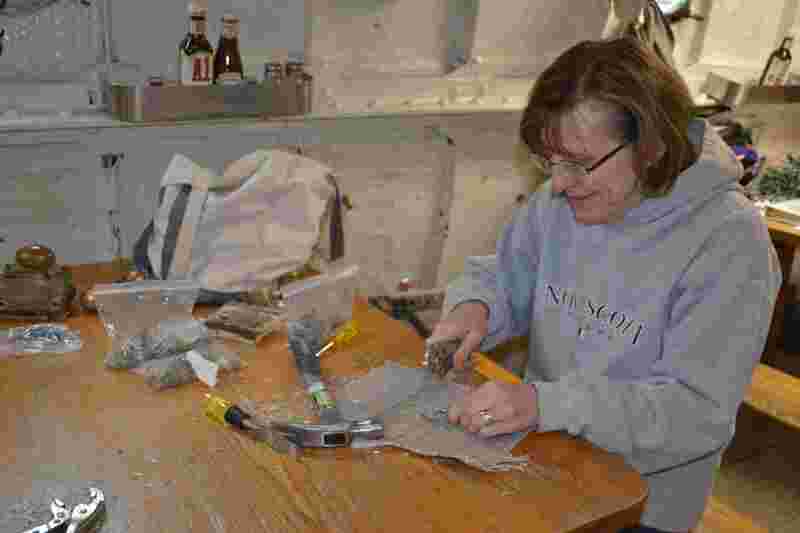 It was a productive workday and a nice way to end the volunteer season. Greg and Andy work on one of the locks. 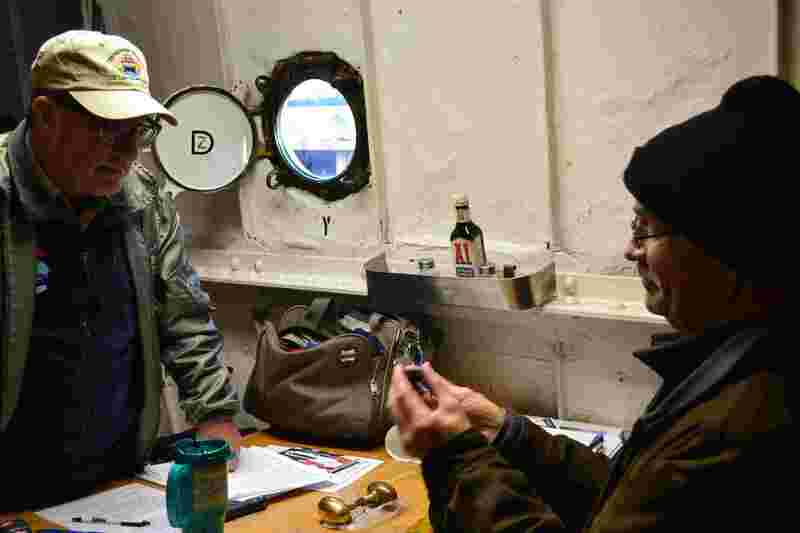 James and Jeff run wire in engine room fiddley. 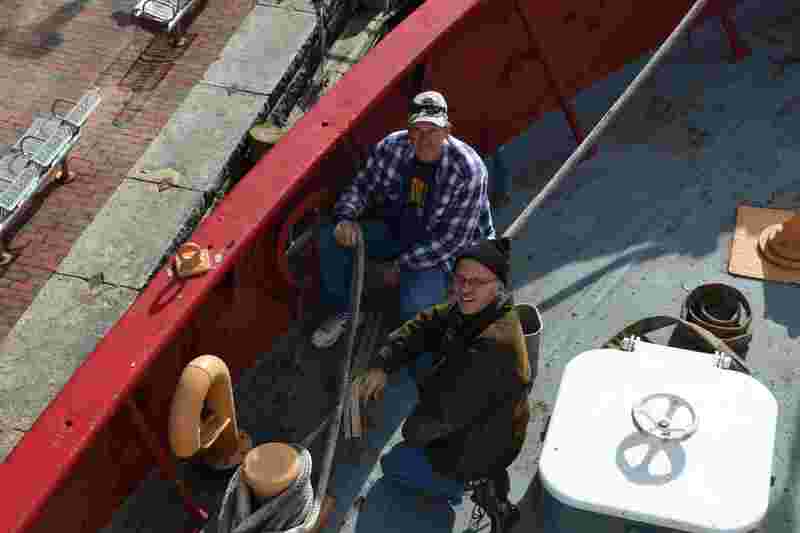 James and Andy add chaffing gear to mooring lines. Tony, Donna and Paula working on lights. 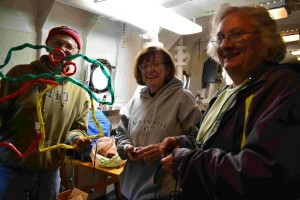 Lauren, Tony, and Paula untangle and test the lights.